You may already know exactly how you want to dress on New Year’s Eve. Perhaps that’s your go-to dress-and-heels combo, or maybe it’s a more toned-down look consisting of jeans and your favorite blouse. While anything you wear will undoubtedly work, if you really want to impress, you should stick to a few specific style rules to help you stand out in the best way possible. Because come on—who wants to look like everyone else? 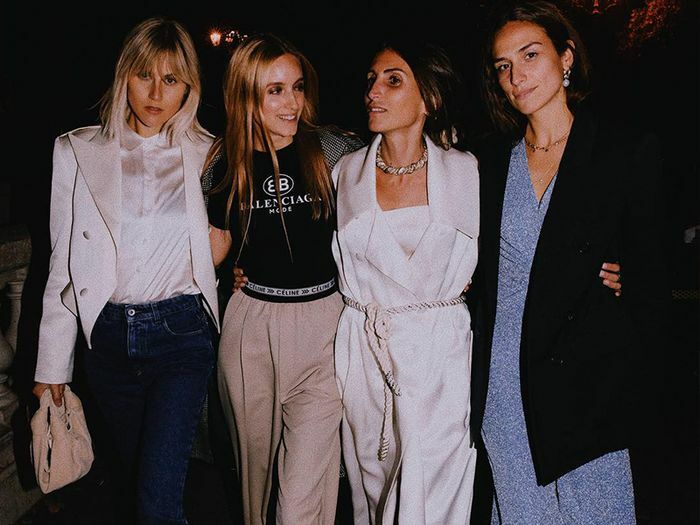 To give you the rundown on the tricks to know, we hit up stylist Alex Sweterlitsch, founder of @fashioninstant, and had her spill on the six rules of dressing cool for New Year’s Eve. Some of these tricks you may already know (and follow! ), while others may be new and worth testing out this season. Keep scrolling to learn more. Plus, shop NYE-inspired clothing too. We promise there’s a little something for everybody. “I like to follow a fabric-to-fit formula—simple fabrics should be on a tailored silhouette, while loud fabrics should fall away from the body. Rich velvet = fitted. Gold metallic lamé = loose,” Sweterlitsch says. “While there’s a secret to wearing high heels without any pain, choosing shoes with a platform or block heel gives a nod to retro style and keeps comfort in mind. Whatever you do, please don’t ever remove your shoes,” Sweterlitsch advises.